When Autumn calls the official end to garden season — either with rain or cold temperatures, it’s time to pull all of the green tomatoes from the vine. These tomatoes will ripen over the course of the next couple of months if you keep them in a cellar, garage, or somewhere else cool and dry, stretching tomato season into January or so. It’s a beautiful thing. 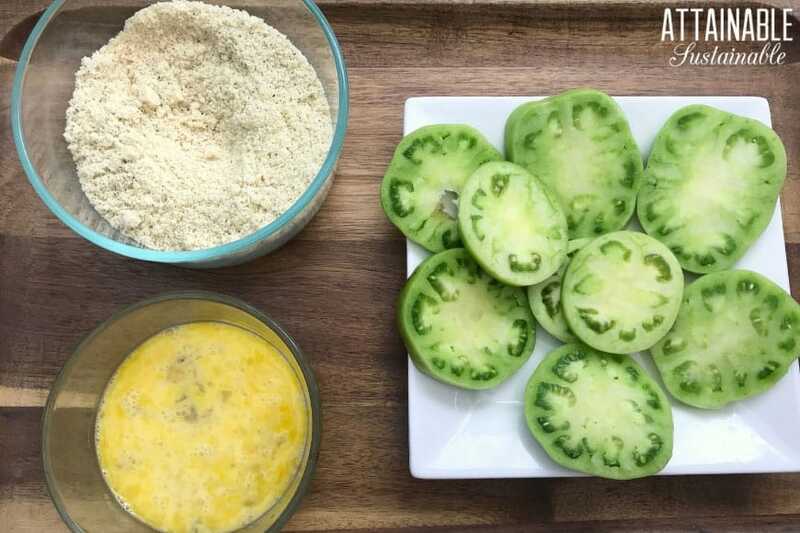 But be sure to set aside a few to make this easy fried green tomatoes recipe! Of course, if you’ve got an abundant crop of tomatoes, there’s no reason to wait until the end of the season. 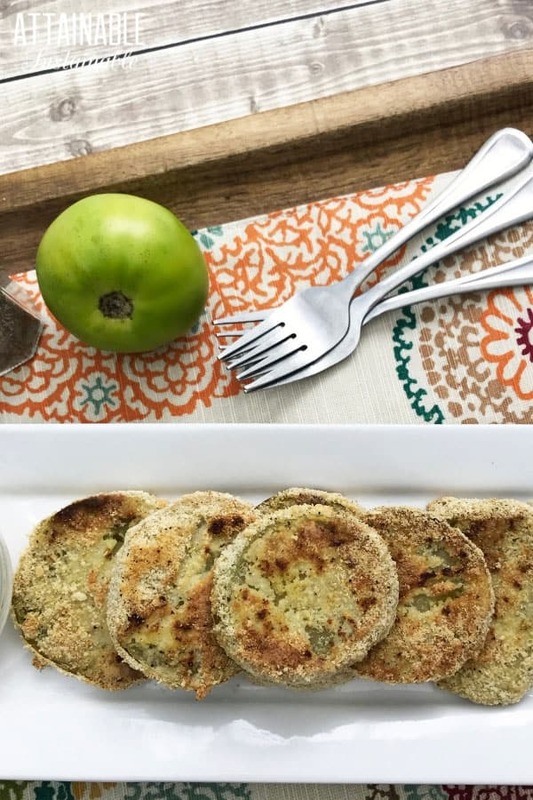 Harvest a few nice big green tomatoes and make this easy fried green tomatoes recipe! 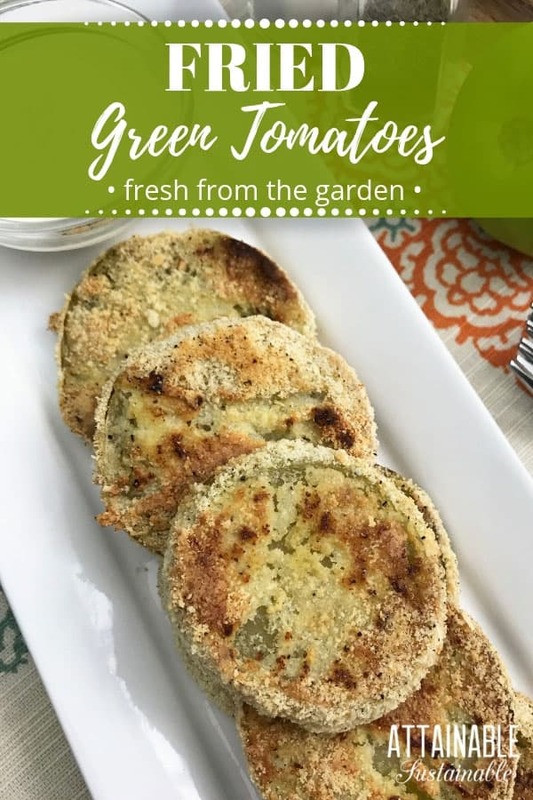 These fried green tomatoes require just five ingredients and they’re gluten free, low carb, and suitable for a paleo diet. They’re keto friendly, as well. Now, some of you are saying, these are baked, not fried. And that’s true. Calling this an easy fried green tomatoes recipe might be a bit of a misnomer. But by baking them instead of frying them, there’s no oil to splatter. Easy cleanup, check! And instead of cooking them in batches in a frying pan, you’ll cook the entire recipe at once, since they’ll all fit on a cookie sheet. There are just half a dozen ingredients necessary to make these fried green tomatoes, but half of those are seasonings. 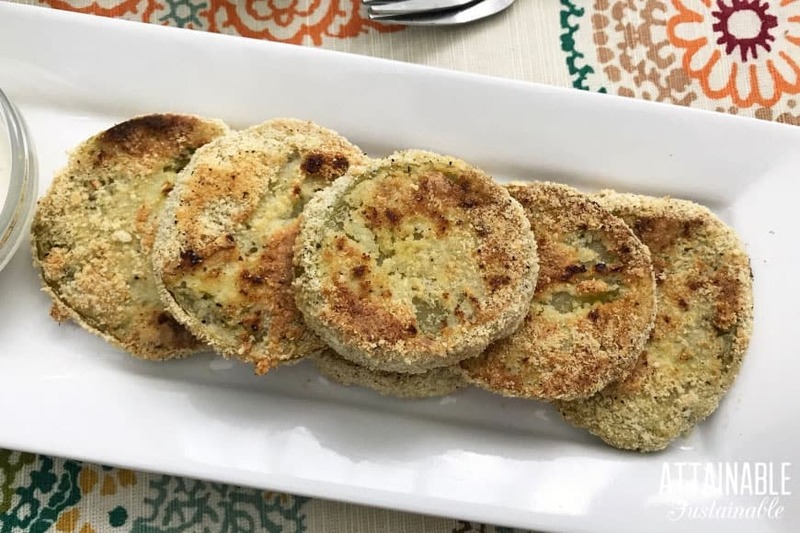 These fried green tomatoes require just five ingredients and they're gluten free. 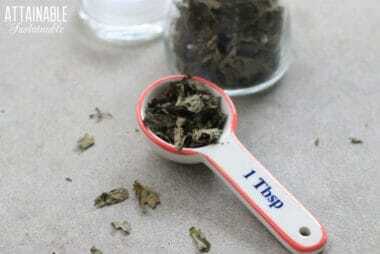 Combine the almond flour, onion powder and garlic powder and set aside. Whisk both eggs in a separate bowl and set aside. Dip one tomato slice at a time in the egg and then in the almond flour mixture. Flip to coat both sides. Place the tomato slice on the baking sheet and repeat with the remaining tomato slices. Bake for 30-35 minutes, flipping about halfway through. Remove the green tomatoes from the oven. 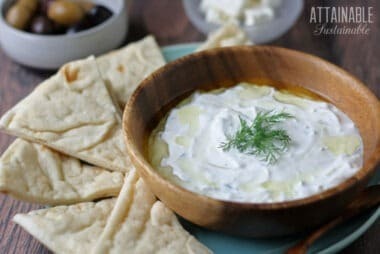 While the tomato slices are baking, combine the mayonnaise and prepared horseradish. 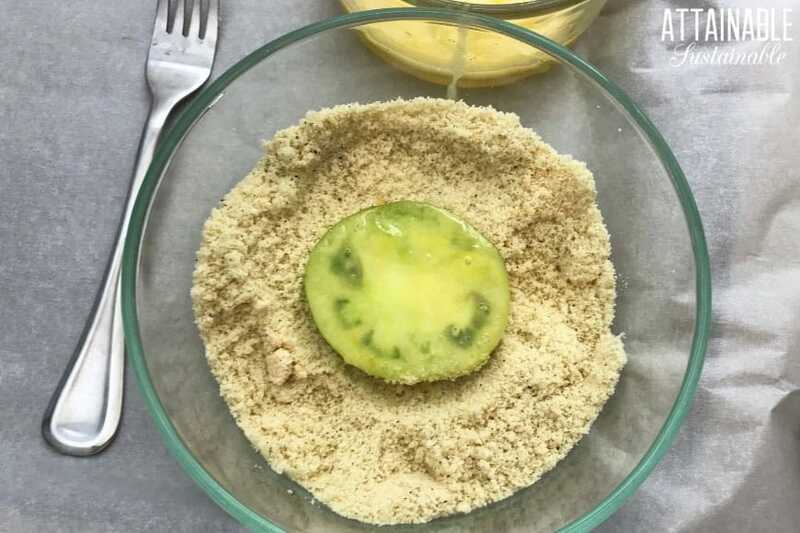 Serve alongside this easy fried green tomato recipe as an appetizer or side dish. While the recipe calls for parchment paper, you can use a Silpat baking sheet instead, if you have one. 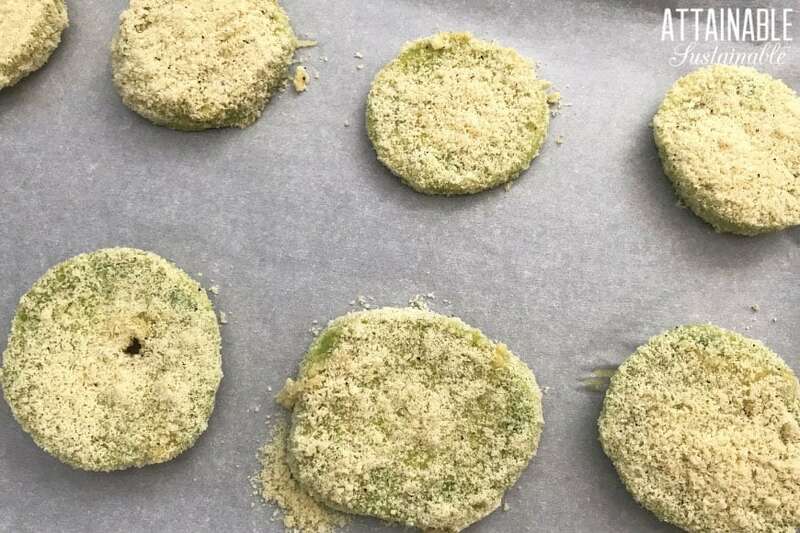 Just line your cookie sheet with that before putting the breaded green tomatoes on it. They look so delicious! I love fried green tomatoes. YUM!